This was released in 1983. Very prophetic. The work in the exhibition gives us a glimpse of a similar world both real and two steps from reality. Obviously we’re not in the 1980s and there have been many political, social, economic and technological revolutions since. Implicit in one definition of ‘revolution’ though is something circular so we are all once again back in the midst of often vitriolic discussions of race, gender, identity, sexuality, and environment. Even the language of the Cold War has returned. 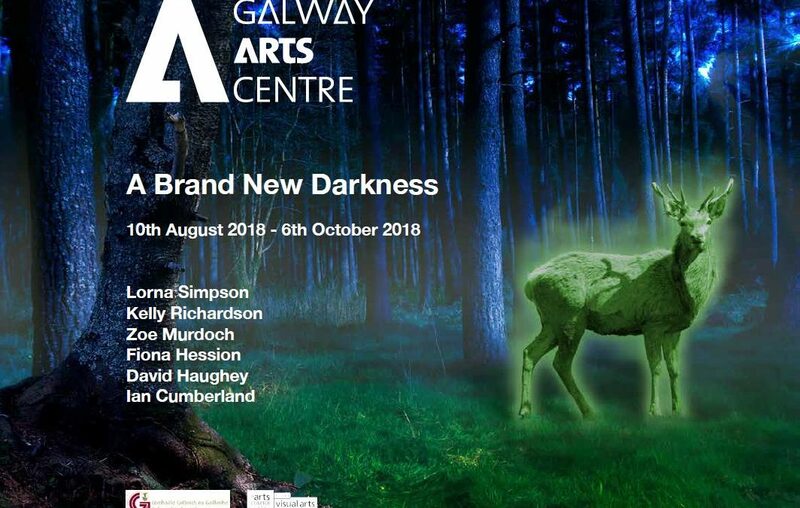 Featuring Lorna Simpson, Kelly Richardson, Zoe Murdoch, Fiona Hession, David Haughey and Ian Cumberland, this show explores various apocalypses both micro and macro though of course even the most personal apocalypse is by its moniker world-changing. In the Abridged tradition it doesn’t preach or offer answers. Rather it suggests paths to take, eco-systems to explore. To find or lose yourself in. Abridged is supported by the Arts Council of Northern Ireland. Image: Kelly Richardson. Still from Twilight Avenger.